I am officially training! The new financial secretary arrived on Monday. 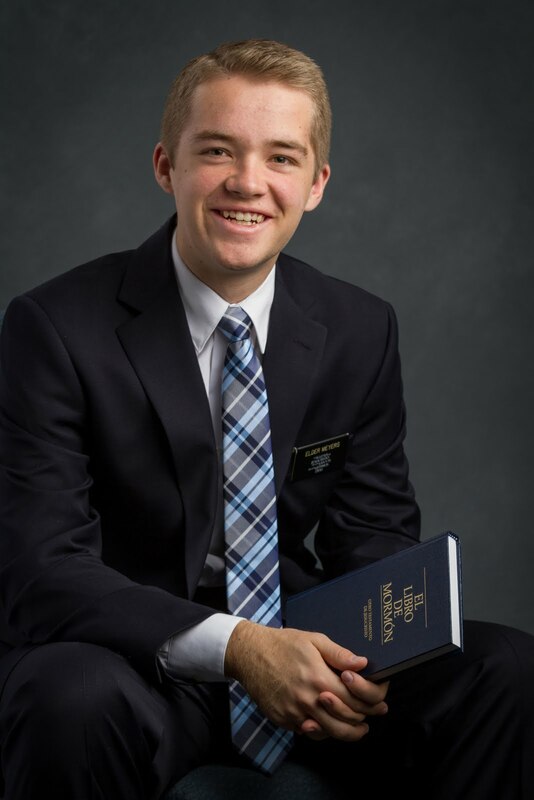 His name is Elder Morrill, he is from West Valley Utah, has about 13 months in the mission, and was in Concordia before he came here. I laughed a little bit when I found out that he would becoming this week, because I had already known a while ago that this week was going to be bad for me because of the amount of work I was going to have, and to have him arrive this week was just going to be fun. I told Presidente, I guess we're just going to skip the whole adjustment phase and put him right in the middle of the flames. :) But he's been a champ, absorbing information and doing his best to understand everything that is going on. I know that he'll be a great financial secretary. Eternal life is a gift of God given only to those who obey His gospel. It is the highest state that we can achieve. It comes to those who are freed from sin and suffering through the Atonement of Christ. It is exaltation, which means living with God forever in eternal families. It is to know God and Jesus Christ and to experience the life they enjoy. There, it gives us two conditions to reach eternal life. One, we repent of all our sins, and two, we know God and Jesus Christ. Eternal life is to know God and Jesus Christ. I began to think about all the things we teach to investigators, and they all come down to those two basic points. We help them to repent of their sins and come to know better their Savior Jesus Christ. I have a strong testimony that the only way that we can truly change is when we come to know our Savior Jesus Christ. We can teach, we can preach, we can explain, we can invite, but if people do not gain a knowledge of their Savior, if they do not come to know Him, they will never make lasting changes. However, when they gain a true testimony of their Savior, they, we, can make changes that will last forever. This all brought me back again to President Nelson's talk from general conference, as he invited us all to better come to know Jesus Christ by reading and studying His life, His teachings, and His doctrine. I would second that invitation again, as it is only through Him that we can become who we are meant to be, and who we truly want to become. This is His gospel. He is the head. He guides and leads, and through Him we can gain eternal life. I know it, because I have felt it. Have a great week, and look for ways to come to know your Savior!